In the last episode, we talked about choosing one thing to focus on. Of all the many things you COULD do, which do you choose? In this episode, we talk about what to do once you’ve chosen something. Now you need to project that focus. When I say “curate”, what I mean is to selectively project a single focused thing. You want people to know what you’re about. We have a cognitive limit, us humans. Dunbar’s Number refers to our ability to maintain only about 150 close relationships. Beyond those 150 people, connections are surface level. In other words, people are forced to simplify you. They do their best in a very short amount of time to figure out what you’re about. They put you in a box. Unfortunately, this is going to happen no matter what. There’s nothing you can do to avoid being put in a box by others. But what you CAN do is define the box you’re already going to be put in. How do you define the box? 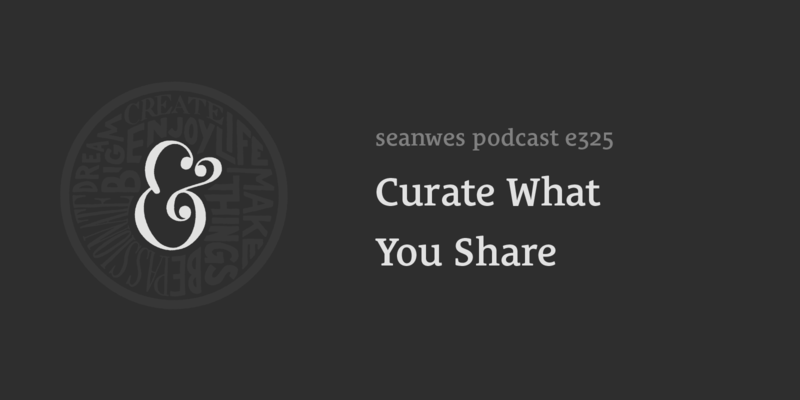 By curating what you share. Publishing, sharing, and speaking only about the thing you want to be known for. Does this mean you can’t be human? Does this mean there’s not more to you as a person than that one thing? No, of course not. It’s a complicated topic, and there’s a lot to unpack, but that’s why we recorded a podcast episode about it. You’re going to be put in a box. There’s nothing you can do about it. You can define the box you’ll already be put in by curating what you share. Curating means selectively projecting a single focused thing you want to be known for (and not sharing everything else). The first-wave benefit of curation is people will eventually come to know you for something. The second-wave benefit of curation is people will eventually have such a strong association that seeing this thing out in the world will remind them of you. Eventually, every instance of the thing you specialize in becomes an advertisement for you. Even the people who aren’t within your target audience will spread the word about you and refer you to others because you are so specifically focused.